The same day that the Pew Chartiable Trust’s latest report on children’s dental health made the news, I happened upon a news item about a heated budget battle in North Carolina. Gibson said having a dental worker in the schools examining kids’ mouths – and drawing parental attention to problems through a letter home – clearly made sense. Gibson said most of the commissioners were no doubt familiar with the fact that, not long ago, a young boy in Maryland died because he didn’t get care for an abscessed tooth. Gibson said he didn’t want to see something like that happen in Guilford County. You can read about the Maryland boy, Deamonte Driver, here. “Short-sighted.” Gibson’s comment brought to mind a study I happened across earlier this year in the American Journal of Public Health, “Impact of Poor Oral Health on Children’s School Attendance and Performance.” Analyzing data on more than 2000 students, the research team found that not only were those with poor oral health three times more likely to miss school because of dental pain, they also did worse academically. Those who missed school to get their teeth cleaned and examined, however, showed no drop in performance. These findings suggest that improving children’s oral health status may be a vehicle to enhancing their educational experience. In this light, $25,000 for a school-based hygienist seems a totally reasonable investment. As for the Pew report? California rated a C, ranking in the bottom half of the nation, as might be expected for a state in which more than half of all kindergarteners have a history of tooth decay (71% of third graders) and one in 5 kids under 12 has never even seen a dentist. 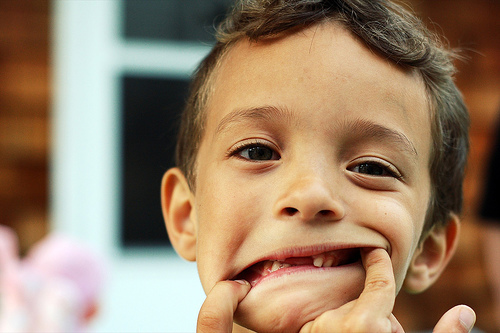 While a biological dentist might question some of the measures used in the Pew study – for instance, sealant use and fluoridation – it is clear that we can and need to do better when it comes to kids’ oral health.